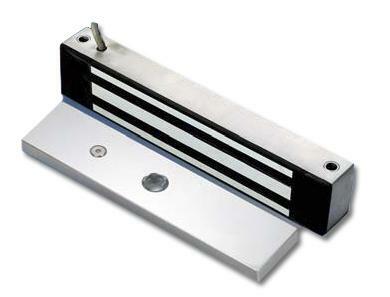 This Sentry Electronics Labs Light Duty Electromagnetic Lock is designed for strength, durability, and security. It has a holding force of 600 lbs, so it is unlikely that the lock will be forcibly compromised. Unlike other electromagnetic locks, this model is weather resistant, so it can be installed on outside doors. The locking mechanisms are totally sealed in an epoxy filled stainless steel case with a threaded conduit. The water resistant design also prevents tampering by vandals.